Ethelbert, MB grain elevator, June 2015. Contributed by Steve Boyko. 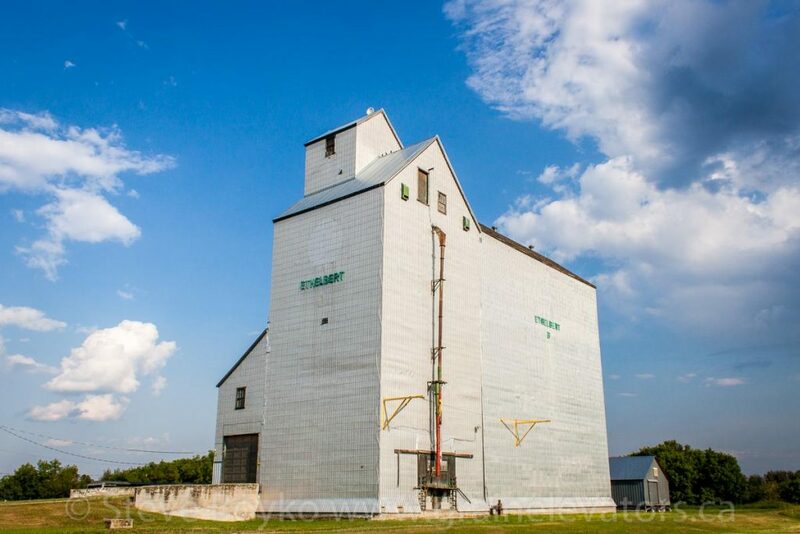 The Ethelbert grain elevator is a former Manitoba Pool elevator. 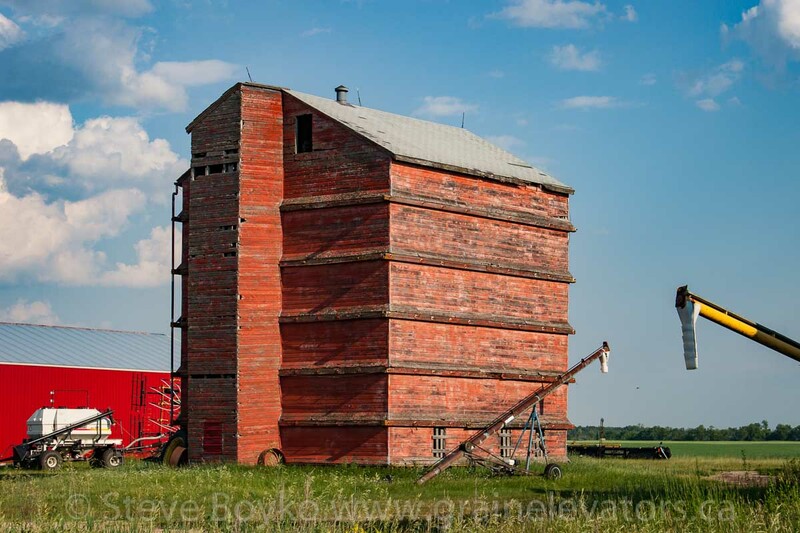 It is the last remaining elevator in the town, located north of the Riding Mountain National Park. 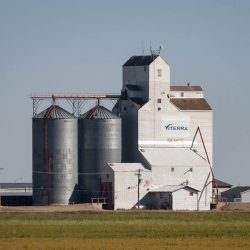 This elevator has a capacity of 4,550 tonnes and has a large attached annex. 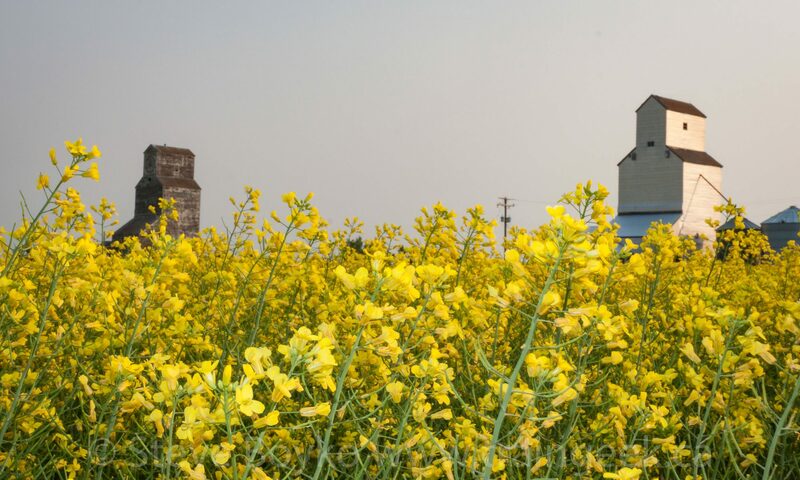 CN built a water reservoir near Ethelbert in the early 1920s to supply water for its steam engines, since there was no sizeable body of water nearby. The reservoir is still visible to the southeast of the town. 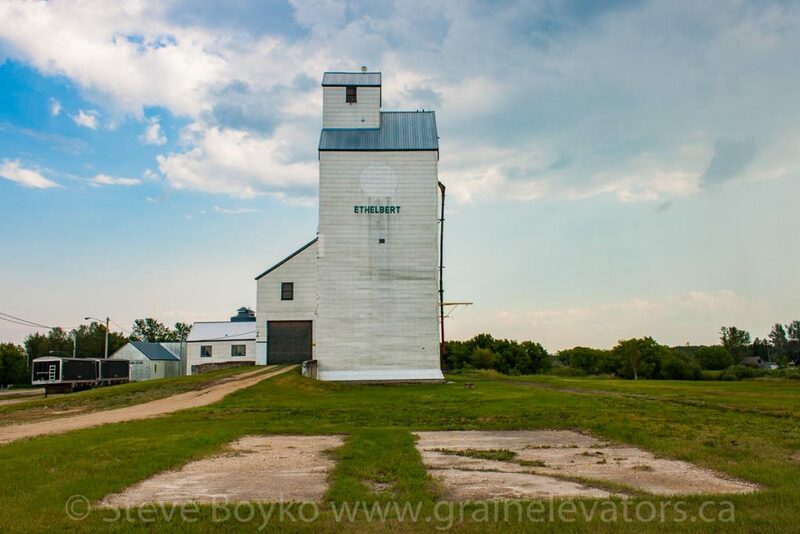 Note that the elevator in the town of Ethelbert is the “B” elevator, implying that there was an “A” elevator. There is a wooden annex on private property north of town, possibly from that “A” elevator. Grain elevator annex near Ethelbert, June 2015. Contributed by Steve Boyko.